This year Mardi Gras will fall on March 5, 2019. 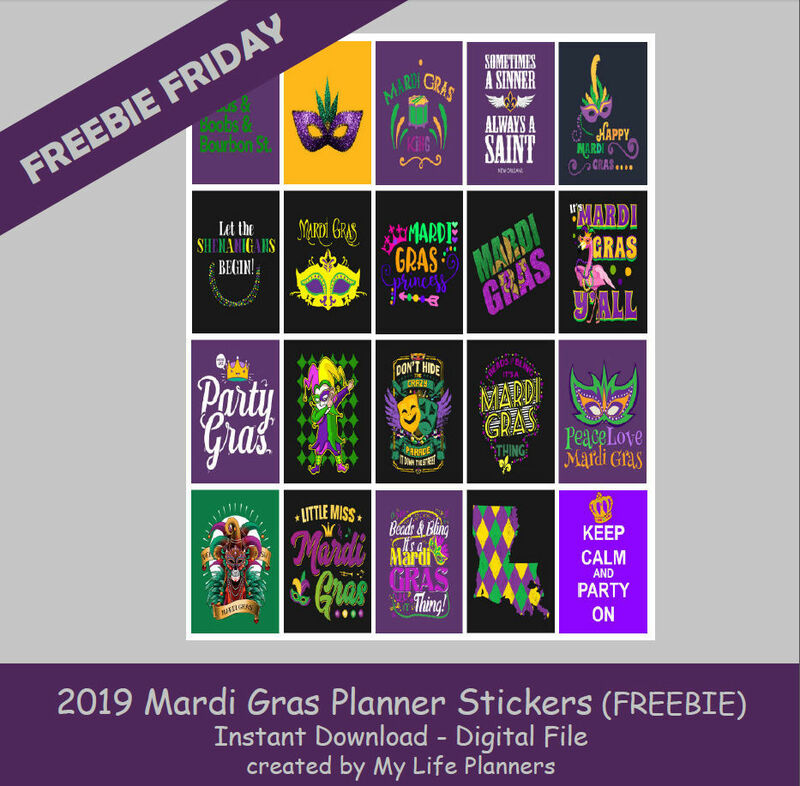 To get your planners ready; this week’s Freebie Friday feature is Mardi Gras Planner Sticker Quotes. If you missed last years Mardi Gras stickers you can revisit them here.